On Friday, October 16th, I received a vector art rush job at Sportswear Plus from Maxwell’s on Main. 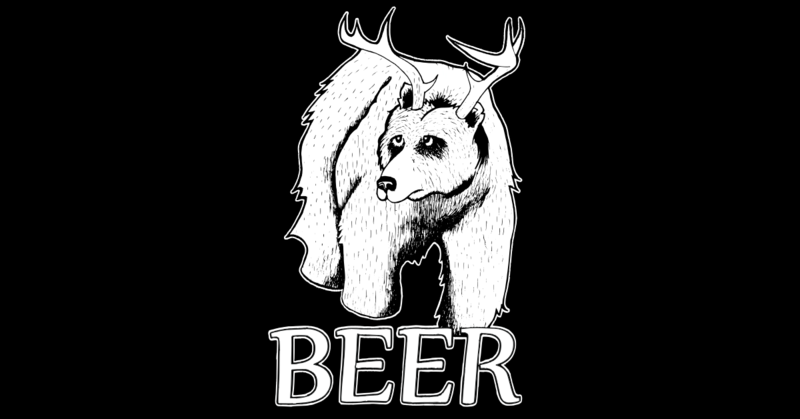 My job was to recreate the Maxwell’s on Main Beer Logo – a hybrid breed between a bear and a deer. I am not the original artist of this logo; However, I want to go over one major challenge I have faced while recreating the logo. 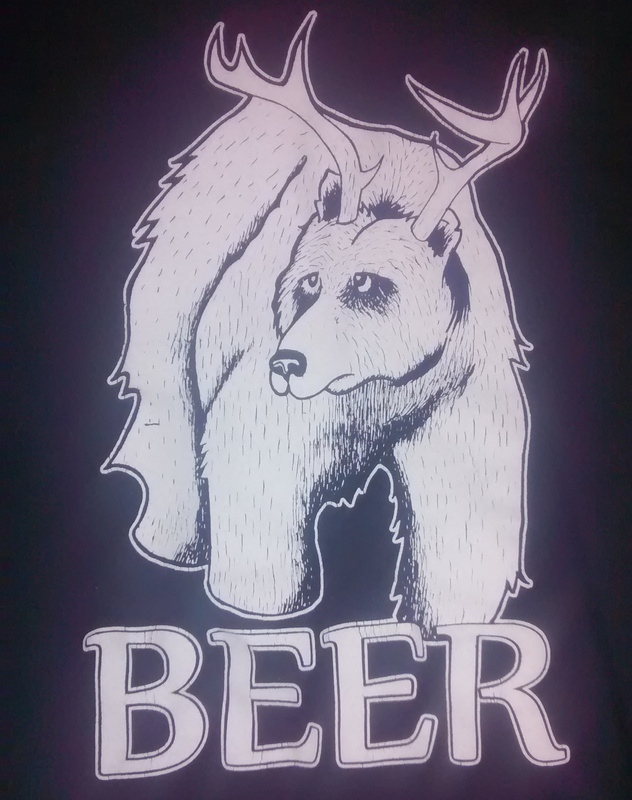 A snapshot of the t-shirt with original MOMs Beer logo. 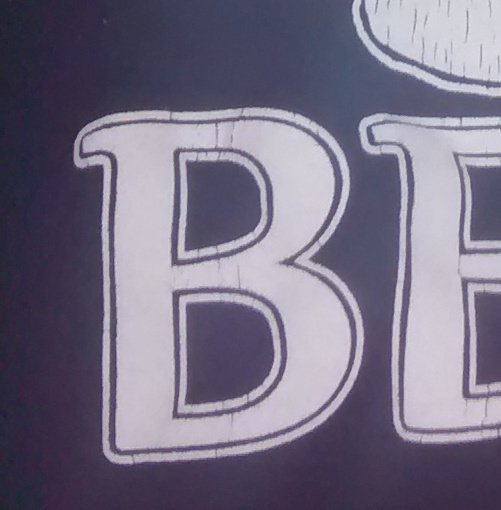 Since the logo was not properly cured on the t-shirt, the ink on the Beer logo was chipping away. The outline around the letters is where it is most apparent. When I did a Trace Bitmap* in Inkscape those gaps would show up and break the logo. I loved the challenge I faced while creating this logo; However, with that said, I can use a beer. And by beer, I do not mean the hybrid.